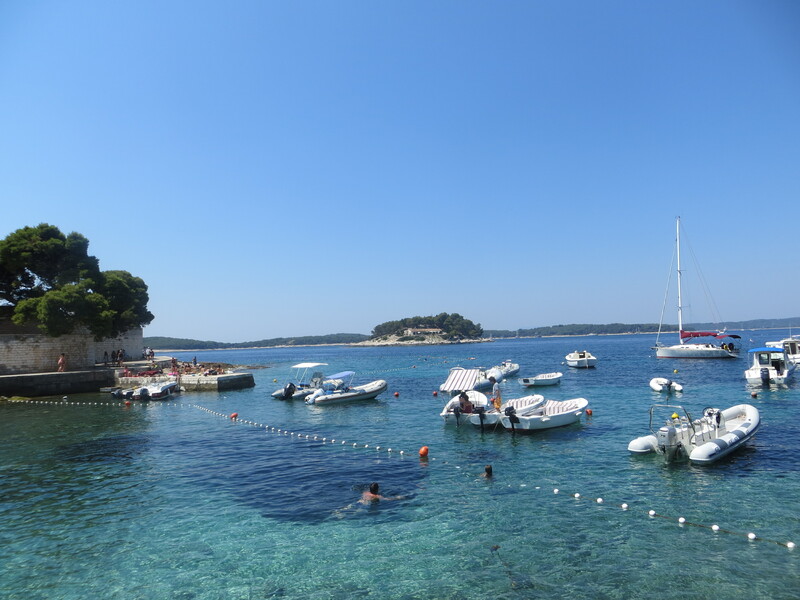 I may have just found the most beautiful place in all of Europe over my weekend in Croatia. 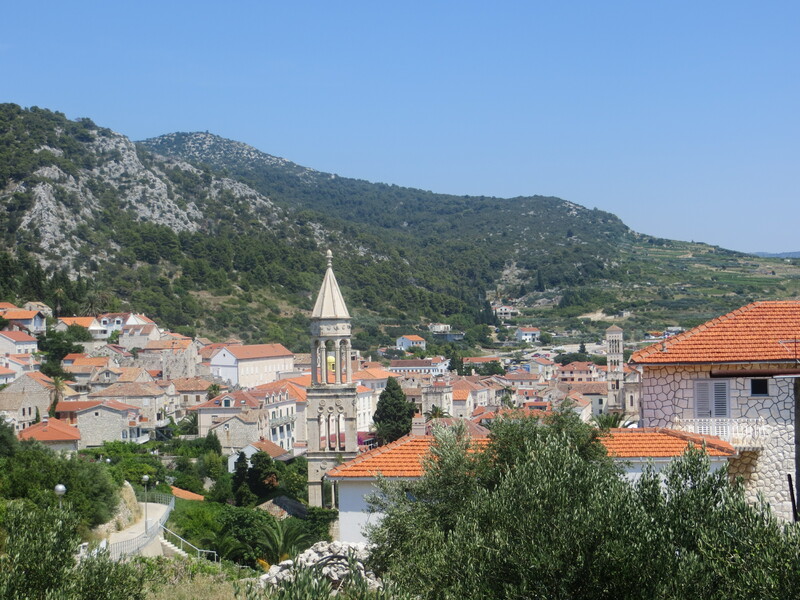 I expected many things when we booked our last-minute trip–ancient ruins, superb olive oil–but I didn’t expect to fall in love with a place so quickly that I’m already looking for a way to get back. 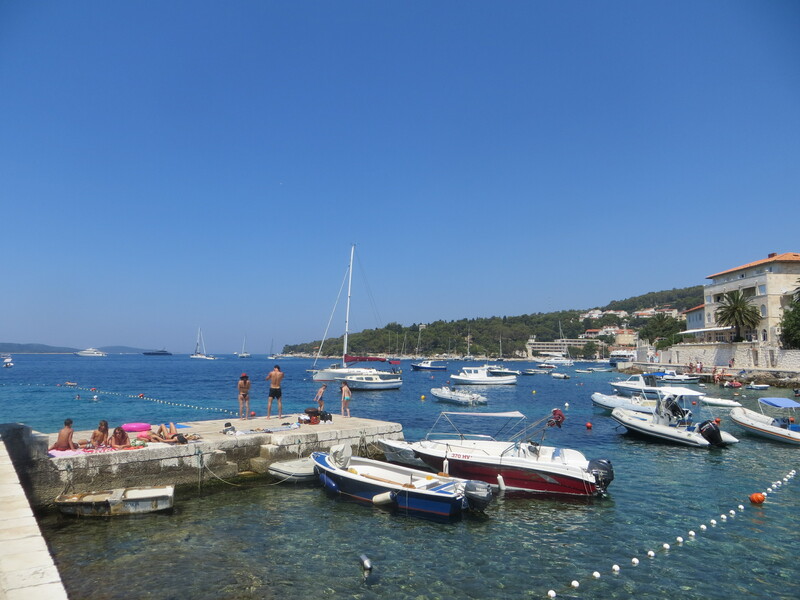 With just three days to spend in Croatia, we made the decision to spend the first two-thirds on Hvar and the last third on the mainland in Split. 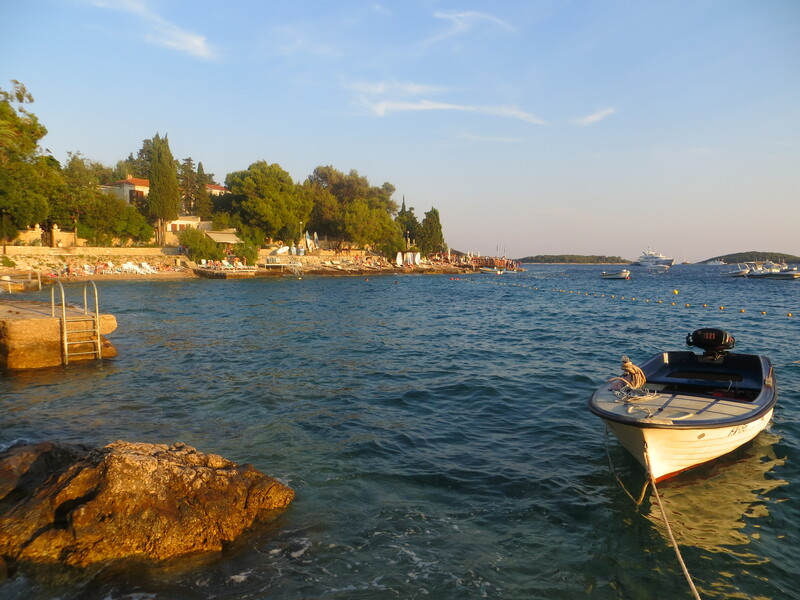 On Friday afternoon we went from Split’s airport to shuttle, the shuttle to a ferry (via sandal-splitting sprint) and finally, we arrived in paradise. 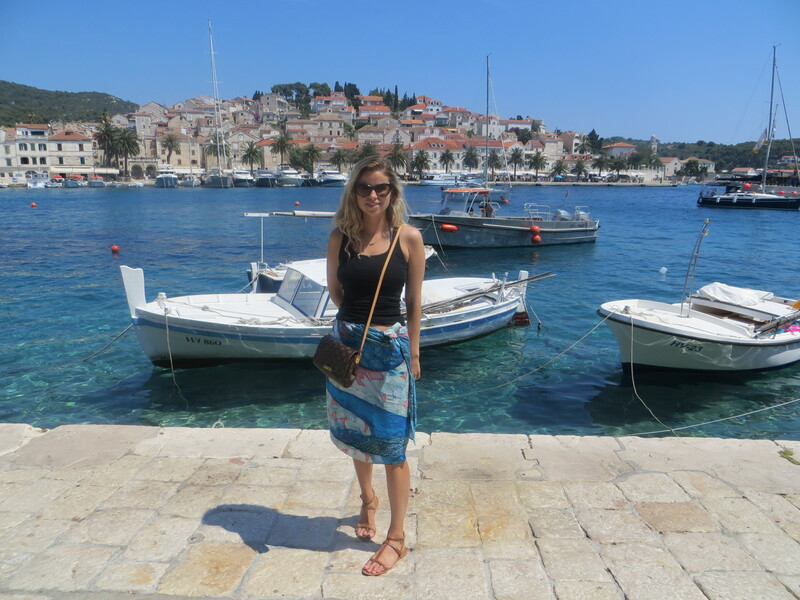 Every last ounce of travel stress left my body as I laid eyes on the rocky coastline of this tiny island tucked in the turquoise Adriatic Sea. Cloudless skies, salty waters, lush olive trees. A place so naturally lovely that it is softly scented by wild-growing lavender. 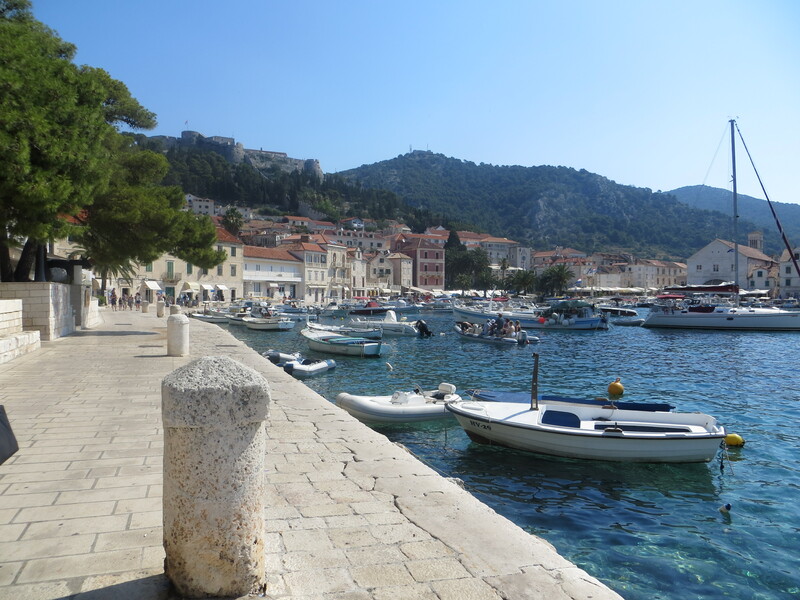 It is little wonder why the island has been fought over for centuries–changing hands from the Greeks to the Venetians, from the Ottomans to Napoleon, from Austria to Italy, once Yugoslavia and now Croatia (since 1992). How can a nation with such an incredibly ancient mark on history be so young? Luckily for us, none of its temporary rulers marred any of its physical beauty while struggling for its control. 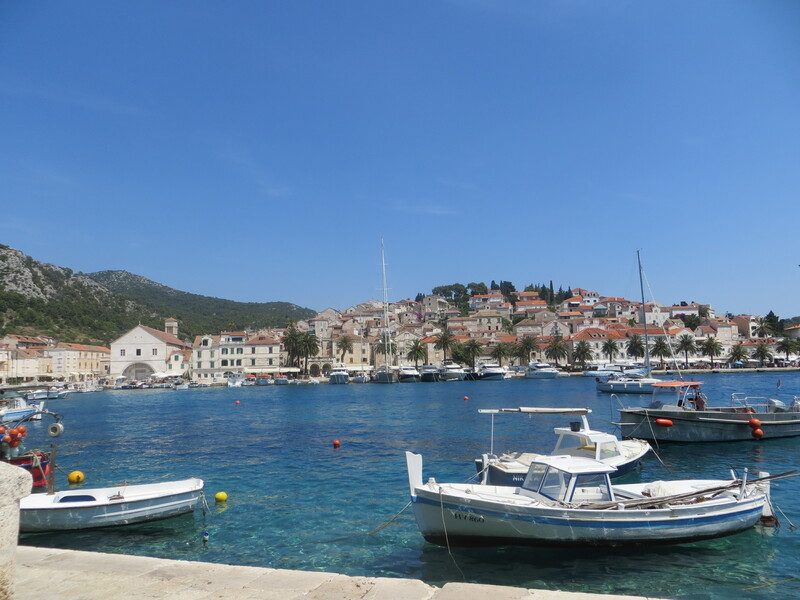 It is as if they all had an understanding that Hvar is a sacred place. 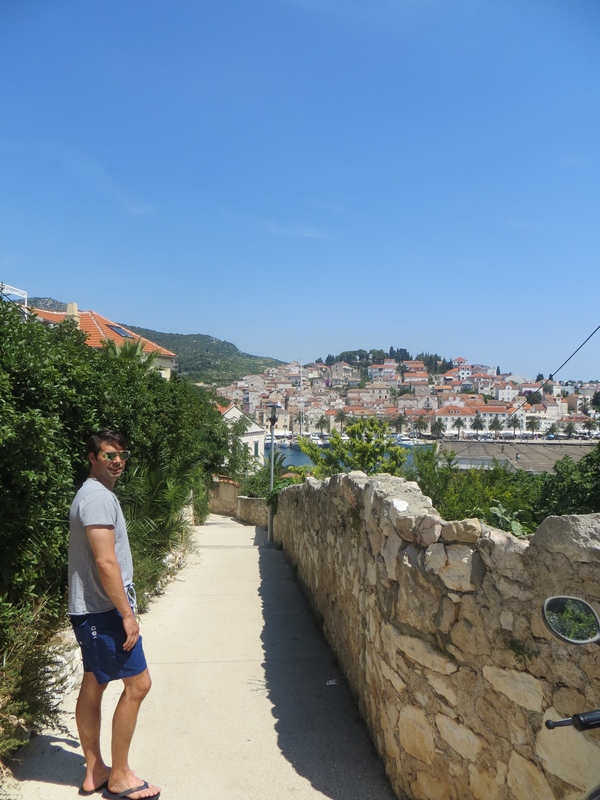 You can do things on Hvar. You can visit its ancient castle, see its Franciscan monastery, shop to your heart’s content. 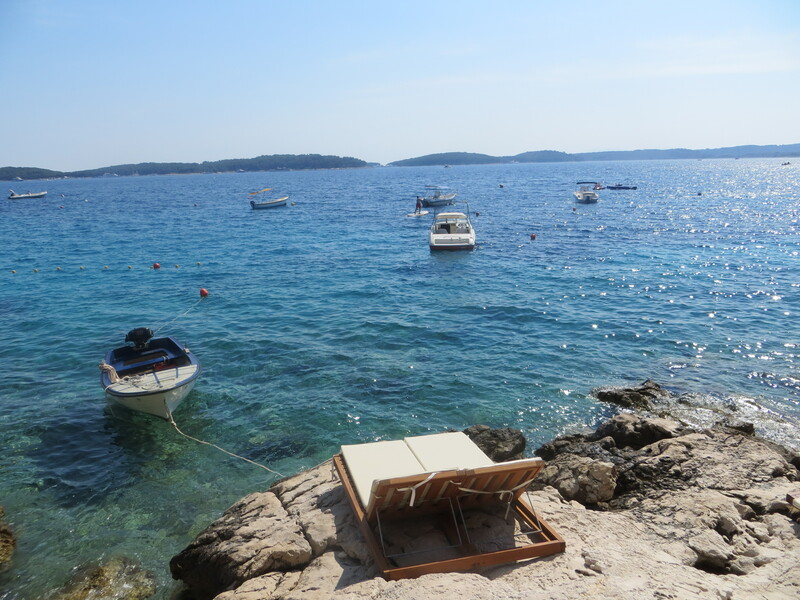 Or you can do what we did, which was swim and sunbathe all day; stopping only for a plate of octopus salad and a glass of icy Croatian white wine. I fell into such a state of contentment on my seaside lounge chair–a place between bliss and napping–that I had to be revived to catch the last strains of the sunset. It was worth it.